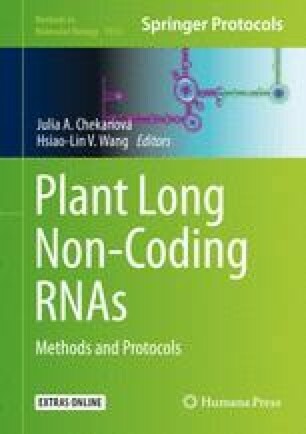 Transcriptome-wide mapping RNA modification is crucial to understand the distribution and function of RNA modifications. Here, we describe a protocol to transcriptome-wide mapping 5-methylcytosine (m5C) in plant, by a RNA immunoprecipitation followed by deep sequencing (m5C-RIP-seq) approach. The procedure includes RNA extraction, fragmentation, RNA immunoprecipitation, and library construction. This work was supported by Ministry of Science and Technology of the People’s Republic of China (2016YFD0101001) to X.G., National Natural Science Foundation of China (31671670) to X.G., and Recruitment program of Global Youth Expert of China to X.G.